This vinyl-covered firm foam shape cradles the body securely and rocks gently. 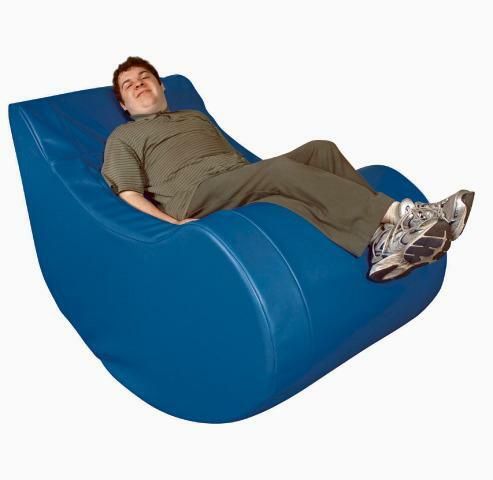 The regular sized Therapy Chair comes in the blue as pictured. The Therapy Chair comes with an options Velcro beat for safety. Also available in smaller size. 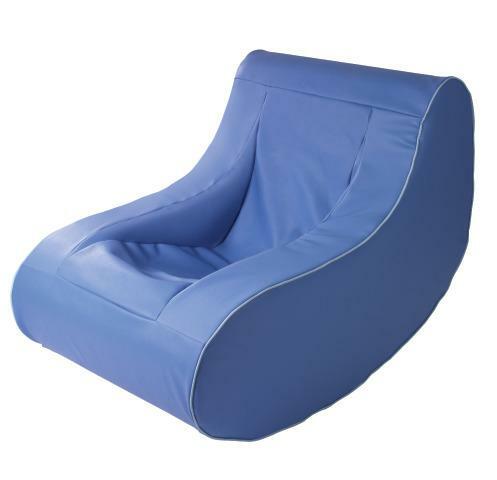 See Junior Therapy Chair (8ROTCJ) for more information. Maximum weight for 8ROTC is 275 lbs. Easy to wipe clean vinyl. Made in USA and is CPSIA compliant for lead and phthalates. Truck Shipment. Loading dock or Liftgate/Inside Delivery necessary to receive shipment. Call for shipping quote 800-467-6222. Dimensions: L: 60" x W: 32" x H: 38"